Bary Jay bridesmaid dress style 1818 - Georgette gown with High bateau neckline. 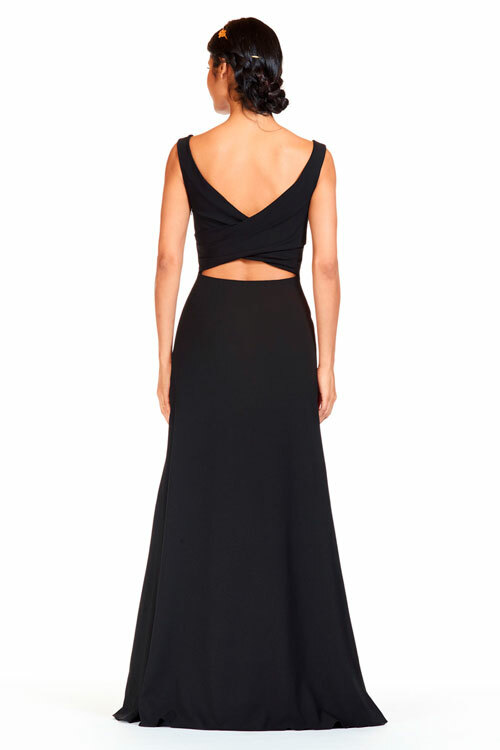 Crossover Keyhole back with A-line skirt. Side seam zipper.